We believe that the time has come to introduce a comprehensive national human rights plan, especially as the National Institution for Human Rights (NIHR) has already been established, and could participate and carry most reform burdens. The objective of this plan is to create an ethical and practical framework, as well as being a guide for civil society and decision-makers. It can also act as an open book for citizens, through which they will be aware of their rights and obligations. The push to formulate such a plan is due to the initial existence of a political will and the fact that Bahrain in the past ten years of political and human rights reform has achieved much in various government organs. Therefore, there is at present a solid foundation which can be built upon as soon as scattered legislations related to the judicial system, politics, labour, women, child, civil society as well as the development in public freedoms and the democratic process itself are brought together as a complete and connected single plan. This will provide a clear and general picture of Bahrain today and will easily shape the future image of the country as well as facilitating the fulfilment of the basic needs of Bahrain society. It is well known that the 1993 Vienna Declaration announced by the World Conference on Human Rights demanded that all countries prepare a national plan of action for human rights. Many countries responded well to this declaration as they found it to be beneficial for them, as well as being useful in assessing the adherence of countries to human rights through specific measures in different fields. Adherence to human rights cannot be measured by a government’s verbal glorification, rather by implementing them on the ground and in accordance to specific measures which are agreed upon internationally. Because the issue of human rights has become an integral part of national polices and is at the heart of international relations, it is necessary for them to remain a constant and stable element in state polices and their economic and development programmes. 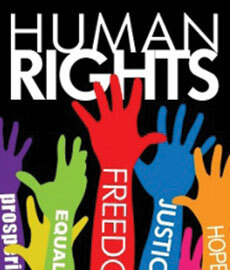 Human rights have become an important aspect of political, economic, social, and cultural life. Stress the adoption of legislative, institutional and judicial measures to guarantee the expansion of public freedoms and promote democratic rule. It should also include a clear emphasis on the necessity of amending any law which does not agree with the minimum international standards. Protect achievements in the field of freedom of expression, in addition to expanding them. Empower civil society and building its capabilities, as well as making it active in the democratic process. The Executive Authority should be open and transparent so that citizens can understand its policies and programmes, and it should make sufficient information available to them. The aim is to allow citizens to assess its performance and hold it accountable through the mechanisms of Parliament and the press. Promote Parliament’s role in supervision and legislating. Take necessary measures to guarantee the independence and the integrity of the Judicial Authority. The Government should train all civil servants, including the police and security forces on human rights and the importance of adhering to its principles. Also, to introduce strict measures in order to hold the police accountable when they violate human rights. Take strict measures in combating corruption and educate society and civil servants in the dangers of corruption on the reform process. Introduce preventative measures to prevent human rights violations from taking place, especially in detention centres and prisons, by informing detainees of their rights, avoiding detention and solitary confinement and allowing them contact with the outside world through lawyers, family visits and doctors. Also, to introduce a humane basis for the questioning process, such as refraining from mental or physical pressure and threatening detainees. In addition, to guarantee detainees the right to object the legitimacy of their detention, and allow them to stand before a judge so they can be tried within a plausible period of time. Otherwise, they should be released. Furthermore, measures should also include the existence of an independent system to inspect detention centres regularly and without previous notice. There should also be a clear mechanism to investigate torture allegations, guaranteeing a quick and integral investigation whenever there are plausible reasons, and providing all the necessary information and facilitation to guarantee a proper investigation. If torture is proven, disciplinary measures should be taken against those responsible, they should be put on trial and the victims should be compensated by the Government. These are some elements of the plan, some of which already exist, which make us hope that the plan will be put forward as soon as possible.